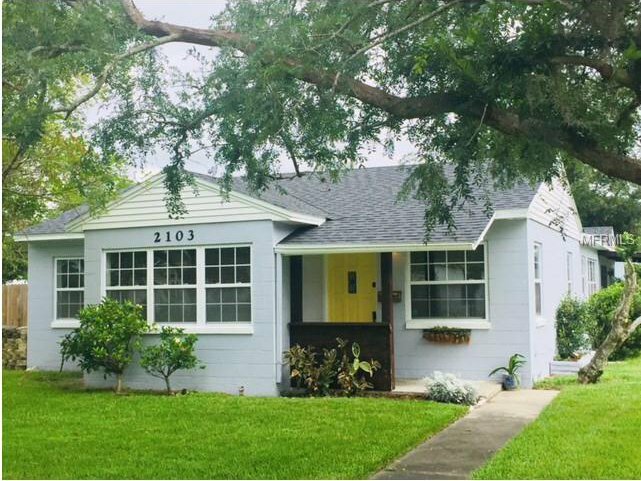 Freshly restored mid-century Winter Park Cottage! Absolutely turn-key. All new electrical, roof and carport, ductwork, R-38 insulation, windows, blinds, stainless kitchen appliances, washer and dryer, interior and exterior paint. Huge 17'x 20' wood deck in large fenced backyard with raised garden. Perfect for entertaining! Lake Killarney neighborhood. Solid concrete block construction. Original hardwood floors; tile in kitchen and bath. Walk to Lombardi's Seafood, Hunger Street Tacos, and more! Minutes to Hillstone Restaurant, Park Ave and Trader Joes. Open floor plan, eat-in kitchen, living/dining combo with family room. Check out the square footage- family room could be converted to 3rd bedroom!